Congratulations, Nohra Padilla, informal recycler and leader with the Association of Recyclers of Bogotá and the National Association of Recyclers in Colombia, for winning the Goldman Environmental Prize for South and Central America. 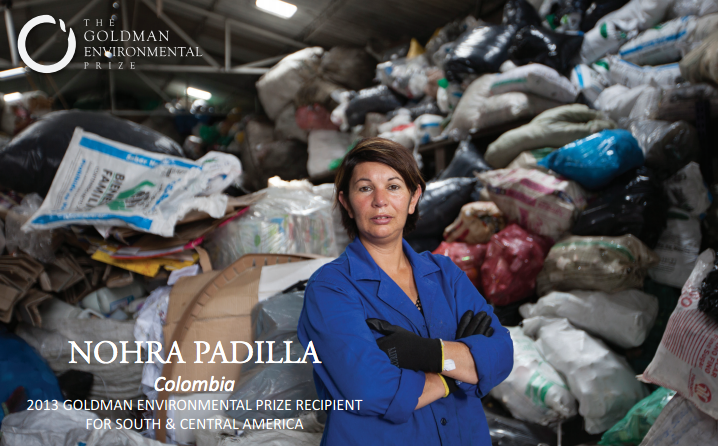 This prize has been called the environmental “Nobel” or “Oscar”. It comes with a $150,000 cash award.